Three issues define the race to succeed President Mwai Kibaki. Firstly, how the trials at the International Criminal Court will affect political stability and the fortunes of two of the leading presidential candidates, deputy prime minister Uhuru Kenyatta and former cabinet minister William Samoei Ruto. Kenya's courts have yet to decide if Kenyatta and Ruto should be able to run in the presidential polls with their trials pending in The Hague. The two could have to seek a compromise candidate should they be ineligible to run. Secondly, the scramble for viable coalitions under the new electoral rules means even more political horse trading than usual. To win, a candidate must get more than 50% of the national vote and at least 25% of the vote in half of the 47 counties. The good intention behind this is to ensure the winner gets the support of the widest range of ethnic and regional constituencies. It also makes some strange bedfellows, leaving former deadly foes to fight on the same ticket. More than 1,500 people were killed in political violence after the 2007 elections. Thirdly, grassroots politics are radicalising fast. These faultlines – youth discontent, Islamist mobilisation and ethnic and clan rivalries over resources – could prove the most disruptive during and immediately after the March 2013 election. Watch the country's vast north and the rise of separatist politics at the Coast. Much like the run-up to the 2007 elections, there are many low-intensity conflicts in outlying districts. And again, the national security machinery seems unable to establish peace. Kenyans go into the elections to choose between two broad coalitions. On the right is the Uhuru-Ruto marriage. Its political base is shaky: it was Ruto's Kalenjin people who fought with Kenyatta's Kikuyu in the Rift Valley in the 2007 post-election violence. And both men now face criminal charges at The Hague for their claimed role in promoting that violence. They dismiss the accusations and now bizarrely share the same political bed to the intense bafflement – if not fearsome anger – of their grassroots supporters. Such political chicanery has cost Ruto much support among the Kalenjin, who have switched to backing prime minister Raila Odinga – now endorsed by veteran Kalenjin leader and ex-President Daniel arap Moi. Kenyatta's supporters seem less perturbed by his political twists: such is the loyalty to him and the memory of his father as Kenya's first president. 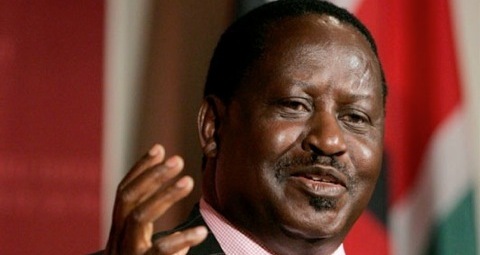 Kenyatta and Ruto's bad marriage is the main obstacle to Odinga's aspirations. Odinga claimed to have won the presidency in 2007 and has been the frontrunner in the Kibaki succession race ever since. En route, he has shed plenty of allies, such as Ruto and the uninspiring deputy prime minister Musalia Mudavadi. Odinga leads in the opinion polls but does not now have the breadth of electoral support to win the presidency in the first round. Odinga stays the frontrunner mainly because of his grip on the Orange Democratic Movement, still the most popular party in the country and brandishing its tarnished reform credentials. No slouch at dealmaking, Odinga has been busy wooing vice-president Kalonzo Musyoka and even Mudavadi's United Democratic Front. A second round of voting would favour Odinga. Few Kalenjin would want to vote for Kenyatta after the 2007 clashes. Voters outside Kenyatta's Mount Kenya enclave simply ask why they should support a man facing an international trial for financing political killings. The new constitution means the electorate will be choosing leaders at national (president and parliament) and county level (governors, senators and women's representatives). The significance is that substantial powers of patronage and decision-making have moved away from the old centralised executive presidency to the 47 counties across the country.